Tuesday morning, July 11, 2017, at the 69th Annual SAWCA Convention State & Industry Medical Directors, State & Industry General Counsels and Chief/Senior Administrative Law Judges from across the nation will participate in special leadership forums focused on their unique challenges and issues related to their jurisdiction’s workers’ comp program. 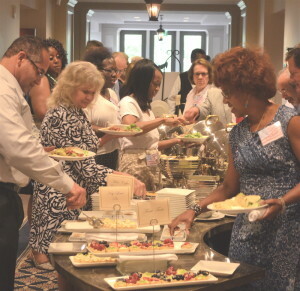 Each Leadership Forum will include a brunch and run from 10:30am till 1:00pm. These forums provide the opportunity for professionals to discuss issues distinct to their profession and we are excited that they will be part of the program for the 69th Annual Convention in Pinehurst, NC. Help us make the 2017 Forums the most beneficial discussions possible. Send your comments and suggestions to Gary Davis prior to June 1, 2017 or you may contact the moderator directly. We welcome your input. Make Plans Now To Be Part Of This Unique Gathering Of Like Professionals.